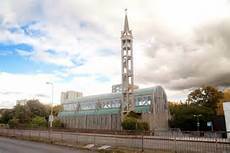 This is a magnificent church in the heart of Stevenage (unfortunately divided from the shopping centre by a dual carriageway). 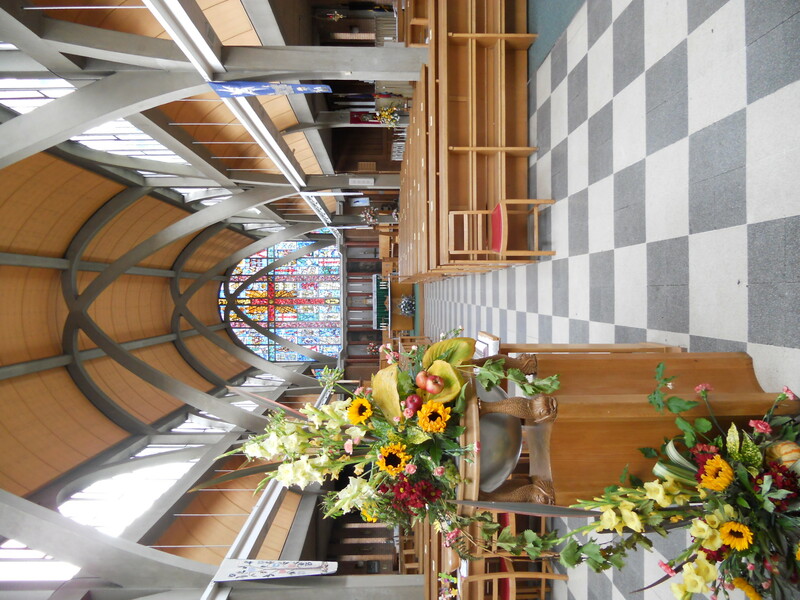 It is the largest parish church building since the Second World War. 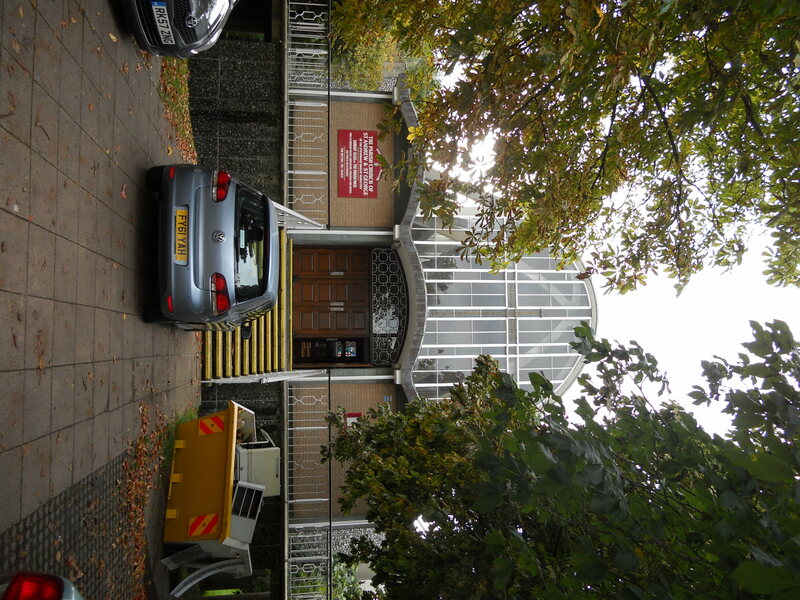 There is the Stevenage Museum in the undercroft and a tall campanile beside the church. I found it open – I am not sure if it regularly is. It is stunning inside and worth seeing. 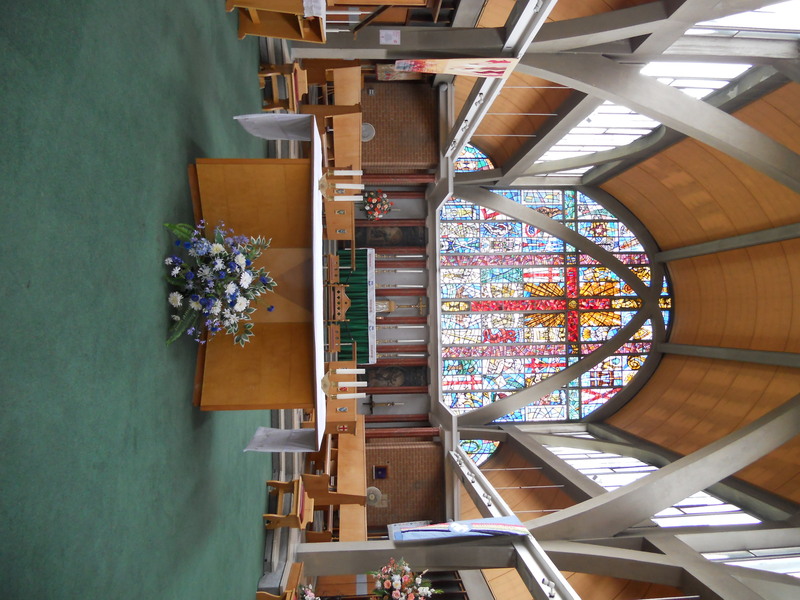 Modern church buildings can often be utilitarian designed for multiple uses. Not this one. It is designed to to give a sense of awe and succeeds well in this. There is a votive stand and the usual ‘Saints and Pilgrims’ book displayed but not much else for visitors which is a shame as this has a lot of potential. The church has an entry on ‘a church near you’ and there is a website which is not yet functioning on stevenagechurch.org. This is a church well worth seeing if you get a chance .